From now through March 20, 2013, Silver Airways passengers who book Abaco, Bimini, Eleuthera, Exuma, and Harbour Island air-inclusive packages of six nights or longer to participating resorts in The Family Islands are eligible to receive $300 instant savings for travel through August 31, 2013. NASSAU, Bahamas, March 12, 2013 /PRNewswire/ — The perfect mix of relaxation and adventure await in The Islands Of The Bahamas. Travelers can now can take advantage of The Islands Of The Bahamas Instant Savings Offer from participating Florida airports onboard Silver Airways. 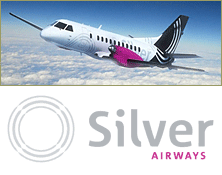 From now through March 20, 2013, Silver Airways passengers who book Abaco, Bimini, Eleuthera, Exuma, and Harbour Island air-inclusive packages of six nights or longer to participating resorts in The Out Islands are eligible to receive $300 instant savings for travel through August 31, 2013. Travelers looking for a quick getaway will qualify for $200 instant savings on three, four and five night packages. The Islands Of The Bahamas have a place in the sun for everyone from Nassau and Paradise Island to Grand Bahama to The Abaco Islands, The Exuma Islands, Harbour Island, Long Island and others. Each island has its own personality and attractions for a variety of vacation styles with some of the world’s best scuba diving, fishing, sailing, boating, as well as, shopping and dining. The destination offers an easily accessible tropical getaway and provides convenience for travelers with preclearance through U.S. customs and immigration, and the Bahamian dollar at par with the U.S. dollar. Do everything or do nothing, just remember It’s Better in The Bahamas. For more information on travel packages, activities and accommodations, call 1-800-Bahamas or visit www.Bahamas.com. Look for The Bahamas on the web on Facebook, Twitter and YouTube. 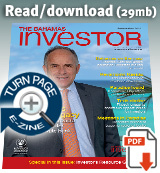 To purchase one-of-a-kind items from The Bahamas, visit www.eshopbahamas.com. *Terms and conditions: both the $300 and $200 Instant Savings offer must be booked in conjunction with an air-inclusive vacation package as noted above. Blackout dates apply, offer not valid on bookings from March 25 to March 31, 2013. Limit one instant savings per booked room; up to two rooms allowed per booking. Double occupancy bookings only. Not valid for group bookings. The Bahamas government has legislated for a new property tax amnesty, which encourages taxpayers to join the property tax registry and settle any outstanding tax dues.